Pastoralism: Keeping soils alive through herd movements and careful grazing management. Pastoralism is an ancient way of animal husbandry, using natural resources in areas less-suited or unsuited for crop agriculture: drylands in temperate, subtropical and tropical regions, mountainous and high-altitude zones, as well as some very cold areas (FAO 2009, Mathias 2011). Worldwide there are probably about 200 million pastoralists; estimates vary between 50-500 million, depending on how broad the definition is. Pastoralists account for a large proportion of the livestock numbers in many countries, especially in the Sahel, East Africa, the Middle East and Central Asia (FAO 2009). But there are pastoralists in Europe too, such as the mobile shepherds in central and southern Europe, cattle producers who take their animals to graze in the mountains in summer, and the reindeer herders of northern Scandinavia. Extensive livestock raisers such as the hill farmers of Britain and Ireland also share many of the characteristics of pastoralists. In some areas, pastoralists and their livestock have continued what wild herbivores started millennia ago: moving long distances from one place to another, following seasonal rainfall and avoiding seasonal disease problems. Examples are reindeer herders in the tundra of the northern hemisphere who drive their animals towards the coast during the short arctic summers and to the inland forests in winter; and the many pastoralist groups in Africa’s savannahs, who follow the rains and avoid areas with tsetse flies. In other regions, mobile forms of livestock keeping may have evolved as byproduct of intensifying crop agriculture: to prevent animals from eating crops, they were taken away for grazing. With the expansion of crop agriculture, pastoralists were increasingly driven to inhospitable regions with harsh climates and difficult terrain (FAO 2009). This commentary examines the strategies that have enabled pastoralists to survive and produce under such conditions for centuries. It also discusses how they affect the soils, vegetation and organisms of the pastoral land. Pastoralism is as varied as the landscapes where it occurs. Some pastoral groups are entirely mobile and take all their herds on long-distance seasonal movements. But nomadic forms of pastoralism without a fixed homestead are becoming rare. Other pastoralists live in settlements and move their animals each day to grazing areas within easy reach of the settlements, taking advantage of sites such as hedgerows, field borders, and fields that are fallow or that have been recently harvested. Others again use a combination of both: female animals and their young offspring are grazed near the settlements while the rest of the herd goes on long-distance migration. Some combine their mobile livestock keeping with crop agriculture (FAO 2009). Despite all these variations, the animal husbandry approaches of pastoralists share some key characteristics (FAO 2009, Homann et al. 2008, Köhler-Rollefson 2010). Pastoralists keep large groups of animals that can digest fibre-rich feed. The animals are mainly ruminants: sheep, goats, cattle, buffaloes, yaks and camels. 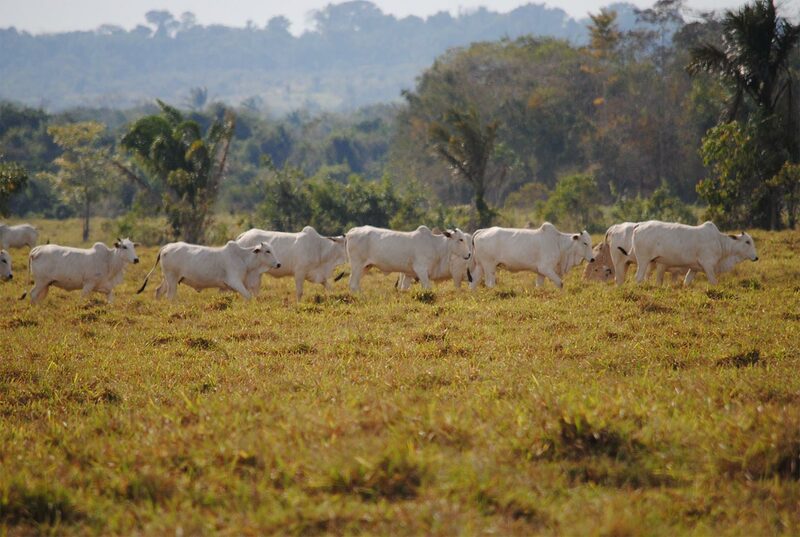 They control the intensity and duration of grazing through herd movements and careful management. The alternation between grazing and resting periods gives the land time to recover. They organize their herd movements and coordinate them with other pastoral groups and other land users in the area. Nowadays they commonly also need the permission of local authorities, especially if they want to cross national boundaries or administrative borders. Some pastoral societies, like the Borana in southern Ethiopia, have developed a complex network of institutions and committees that fulfil these functions and regulate access to water and pasture. Their breeds are often multipurpose animals, adapted to the local climate and vegetation. Products include meat, milk, wool, cashmere and leather. Young animals and unwanted adult stock are sold for slaughter or draught. Livestock are a walking savings account and play a central role in culture and social interactions. The combination of herd management, controlled grazing with adapted breeds and organized movements has allowed pastoralists to graze their animals throughout the year without depleting the resource base. In many countries, pastoralism contributes a sizeable percentage to the agricultural gross domestic product. However, the contribution of pastoralists to national economies and food production is often neglected (WISP 2006), in parts because it is a section of informal economies. The effects of pastoralism on soils are closely tied to the characteristics of the livestock, their interaction with the flora, fauna and microorganisms above and below the soil surface, and the management of grazing. Grazing restricts shrubs and trees and stimulates the growth of grass Livestock browse on the shoots of shrubs and trees, hampering their growth. When these have reached a certain size, they remain mostly undisturbed by grazers. Raika camel herders even say that browsing stimulates the growth of older trees (KöhlerRollefson, pers. com.). Livestock has the opposite effect on grass: grazing stimulates its growth along with the activity of organisms in the rhizosphere (the layer of soil that contains inter alia the roots). The grass absorbs carbon dioxide from the air and turns it into biomass above the ground (leaves and stems) and below it (roots). The denser the growth of the grass above and below the soil, the faster it will recover after grazing – provided it has not been grazed too short. Otherwise the remainder of the grazed leaves will not have enough energy to start their photosynthesis and get the “carbon-cycling pump” going (Idel 2015). During the long dry periods in tropical and subtropical drylands, grass dries out, making nutritious standing hay. It may not decay unless it is eaten by grazing animals or termites. Cattle, sheep, goats, camels and other herbivores have microbes in their stomachs that enable them to digest fibre-rich vegetation, turning the hay into dung and furthering the decay of the plants during the long dry season. This is critical to the soil and a healthy ecosystem (Mathias and Wilson 2015). Ruminants’ ability to digest fibre-rich feed also plays an important role in temperate zones, where pastoralists have traditionally been allowed to graze their animals on stubble after harvest in autumn. The animals’ dung has always been an important source of fertilizer, especially before the advent of chemical fertilizers (see below). The dung of grazing animals contains plant residues and nutrients. It provides nourishment and habitats for a myriad of insects and other arthropods. Herds of animals trample the dung into the ground, forming a protective layer and increasing the level of organic matter in the soil (Sullivan 2013). Earthworms and other soil organisms set to work on this organic matter and turn it into humus, which retains moisture and encourages plant growth. The soils in tropical and subtropical drylands are generally low in organic matter: they cannot absorb much water, and dry out quickly. When raindrops hit the exposed soil, they compact the soil surface, forming crusts. Little water sinks in, and much evaporates or runs off, taking with it valuable carbon and minerals. Livestock hooves break up the crusts on the soil surface, allowing water to seep in and restoring a healthy growth of grass (Mathias and Wilson 2015). Unless large herds of heavy herbivores spend extended periods in an restricted area, the trampling of livestock will disturb the soil less than the heavy machinery nowadays used for mowing and crop cultivation: when tractors, ploughs, harrows and mowers pass over a field, they break up the soil structure, compact the soil and eliminate the habitat of soil organisms (LLUR 2010). Grazing animals are much gentler: under good grazing management, anthills form on permanent pastures (Bauschmann 2014). More ants on top of the soil mean more ants and life in the soil. When walking from one pasture to another, livestock can transport seeds, fruits, spores and other plant parts in their coats. Sheep, with their dense, long fleeces, are especially suited as “seed taxis”. Sometimes they even carry along small animals such as lizards, snails, beetles or grasshoppers. They connect areas in today's fragmented landscape: that stops plant communities from becoming isolated from each other and depleting genetically, and preventing rare species from disappearing completely (Institute of Agroecology 2017, Manzano and Malo 2006). The gut of animals is another form of transport mechanism: the seeds of some trees have to pass through an animal’s digestive tract before they will germinate. Pastoralists have been known to enhance seed dispersal by their animals through hanging bags of seed around neck of their sheep. During grazing the seeds drop out through holes in the bags and are worked into to the ground by the sheep’s hooves (Koocheki in Bayer and Watersbayer 1998, pp. 113-114). As a result of careful grazing management, pastoralism maintains grasslands and hinders the expansion of bush and forests. Many of the world’s grasslands are as much a product of grazing as of a climate that disfavours tree growth. Landscape managers in Europe recognize this: they use sheep to graze areas that would otherwise become overgrown and revert to forest (see, for example, LLUR. 2010). Many popular tourist destinations, such the Lueneburg Heath in northern Germany, would lose their attractiveness without their quadruped lawnmowers (Lüneburger Heide GmbH. 2017). But grasslands are not just tourist amenities. The dense rooting systems of grass and the rich humus layer store large quantities of carbon, so help reduce the impact of climate change. Ploughing land to cultivate crops speeds the decomposition of organic matter, encourages erosion, and releases carbon into the atmosphere as CO2 (Idel and Reichert 2013). Grazing, on the other hand, maintains the vegetation and increases the humus layer in the soil, creating a species-rich pasture that absorbs more CO2 than it releases. In temperate climates, grasslands continue to produce oxygen when deciduous trees have shed their leaves in autumn (Bauschmann 2015, Idel 2015). Areas where grazing is carefully managed tend to be rich in biodiversity, offering retreats for many endangered plants and animals. Some plants may disappear under grazing pressure, while others need it to thrive. In Europe, traditional migration routes are especially rich in biodiversity and play a key role in biodiversity conservation (Azcárate et al. 2012). As the biodiversity above and below the soil influence each other, biodiversity changes on top of the soil will affect the soil biodiversity and functions and vice versa. groundwater below the soil layer. Grassland soils are an excellent water filter, sieving out contaminants and preventing them from entering wells and springs (Bauschmann 2015, FAO 2009). But poorly managed grazing can be very damaging. Too many animals on too little land eat up all the vegetation, including the growing shoots, leaving the soil surface bare and exposed, allowing gullies to form. Thousands of hooves pulverize the soil and make it easily eroded by rain and wind. That further reduces vegetation growth and the amount of carbon in the soil. Pastoralists are aware of such problems and avoid them through a combination of careful management and mobility. They use traditional migration routes that follow the rains, making use of fresh vegetation and allowing the vegetation on already-grazed areas to recover. They maintain reserve pastures for use in emergencies such as drought. They strike agreements with farmers and other groups of herders to avoid overusing areas close to streams and waterholes (FAO 2009, Homann et al. 2008). But in many places, such measures are breaking down. Human populations are growing and crop cultivation is expanding in wetter areas that used to act as winter pasture or grazing reserves. Livestock are banned from nature reserves that previously served as emergency grazing sites. Farmers and investors fence off land. The spread of settlement blocks migration routes. Violent conflict prevents herders from using valuable tracts of pasture. Politicians in faraway capital cities make decisions that affect pastoralism, without understanding its benefits or needs. Pastoralists and their herds are continually pushed into poorer, drier areas, which become overgrazed. Changing technology also has an impact. In Spain, where sheep have traditionally moved in winter from north to south and in summer in the reverse direction, sheep are nowadays transported by lorries between winter and summer pastures. That eliminates their impact on the vegetation en route (DVL 2016). Grazing animals – problem or solution? What type of production system is suited to supplying the world’s rising population with animal products? Supporters of industrial livestock-raising are currently engaged in heated discussions with the proponents of ecological livestock-keeping. The discussion has so far mainly centred on the greenhouse-gas effects of different livestock species and systems. High-performing cattle kept indoors and fed with concentrates have a clear advantage in this respect. They produce less greenhouse gases per litre of milk or kilogram of meat than extensively grazed, multipurpose animals adapted to fibre-rich diets (Garnett et al 2017). This has been used as point to promote industrialized animal agriculture and against extensive grazing. But a focus on greenhouse-gas emissions per unit product is too narrow. It neglects the range of positive impacts pastoralism and grazing animals have on biodiversity, soil life and groundwater. Estimates of carbon emissions often neglect the effects of grazing on carbon sequestration in the soil. If appropriately managed, extensive (as opposed to intensive) grazing can increase carbon sequestration (Bauschmann 2015, Garnett et al. 2017, Idel 2015). In many areas, it is the only viable form of land use. And intensive, industrialized livestock production is itself subject to much criticism: in terms of animal welfare, pollution of soil and water by effluents, and other negative ecological impacts such as the stimulation of crop monocultures for animal feed and the loss of biodiversity (Idel & Reichert 2013). If grazing were to cease, what would be the effects? There is little information on this. Suitable areas that are now grazed would be converted to cropping – with its attendant problems of erosion and pollution. Other areas would revert to bush or forest. Millions of pastoralists and other livestock keepers would lose their livelihoods, leading to severe economic, social and political consequences. In any case, an immediate halt to grazing is clearly unrealistic. The costs of converting to other land uses have received little attention. If grass no longer acts as a water filter, how does this affect the costs of water purification? What would it cost to prevent open landscapes that are the basis of a tourist industry from becoming overgrown? How would abandoning livestock affect the biodiversity and the carbon balance of such areas? How would this affect nearby areas – for example by reducing the number of pollinating insects? How should grazing be managed to maximize the advantages and minimize the disadvantages? Extensive grazing seems to be better than intensive, though the level of intensity depends on the regional and local situation. Various initiatives are exploring options. In Zimbabwe, scientists have developed a holistic method called “planned grazing” that mimics wildlife and pastoral herds (Mathias and Wilson 2015). 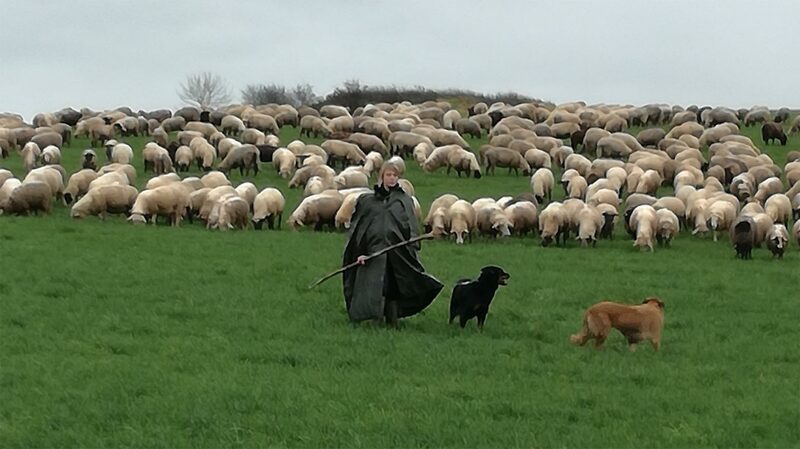 In Germany, a group of institutions and shepherds are studying how grazing sheep can be used to (re)connect isolated biotopes with each other (Institute of Agroecology 2017). 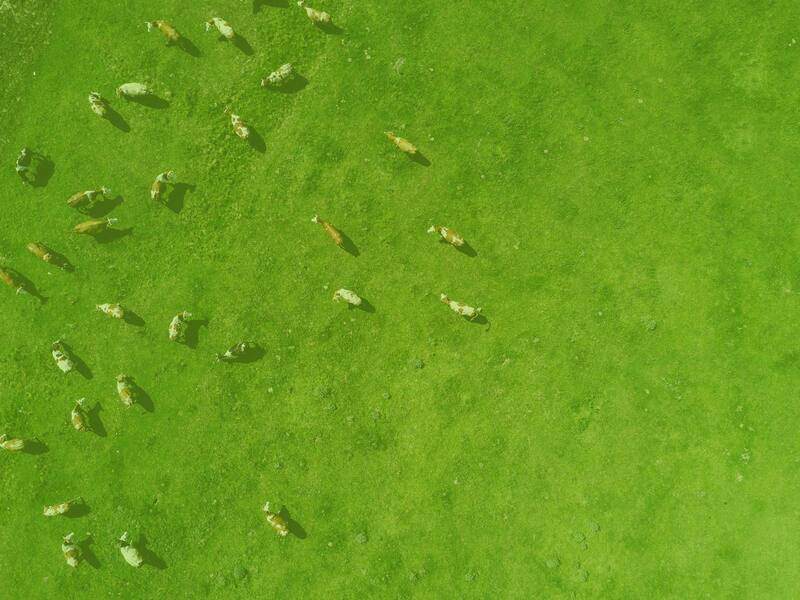 In Germany and the Netherlands, grazing sheep are used to maintain dykes. This is cheaper and ecologically more useful than mowing (Brink 2003). But time is running out. Herders lack access to land, water and markets. They face obstacles set up by uncomprehending or hostile governments: in many countries, bureaucratic hurdles are becoming a huge challenge. It is becoming more and more difficult to make a living from herding animals. Increasing numbers of herders are giving up their lifestyle; their centuries-old knowledge and skills are being lost. They need recognition for their ecological and economic contributions, political support, adequate payments (not subsidies) for their services to agro-ecology and breed conservation, and help to get organized to strengthen their voice in negotiations. Consumers, too, can play a role – in developed countries by reducing the amount of meat they eat, and globally by giving preference to meat produced under management that maintains biodiversity and conserves resources. Azcárate, Francisco M., Irene Robleño, Javier Seoane, Pablo Manzano, Begoña Peco. 2012. Drove roads as local biodiversity reservoirs: effects on landscape pattern and plant communities in a Mediterranean region. Applied Vegetation Sciencen/a-n/a ; En ligne : 1-Nov-2012. Bayer, W. & Waters-Bayer, A. Forage husbandry. Macmillan, London, UK and CTA, Wageningen, Netherlands (1998). FAO. 2009. 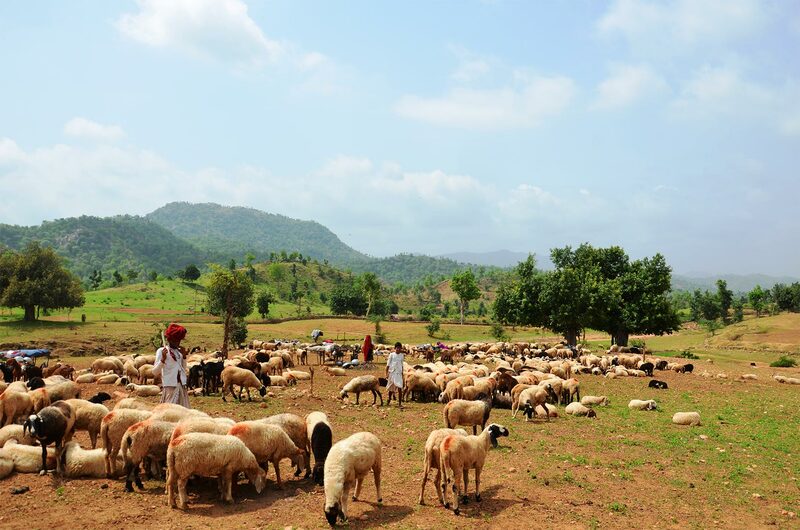 Livestock keepers – guardians of biodiversity. Animal Production and Health Paper. No. 167. Rome. Homann, Sabine, Barbara Rischkowsky, Jörg Steinbach, Michael Kirk and Evelyn Mathias. 2008. Towards endogenous livestock development: Borana pastoralists’ responses to environmental and institutional changes. Human Ecology (36)4: 503 – 520. Idel, Anita. 2015. Zur Bedeutung nachhaltiger Beweidung und Graslandbewirtschaftung für die Entstehung von Bodenfruchtbarkeit. 42. Viehwirtschaftliche Fachtagung, Höhere Bundeslehr-und Forschungsanstalt für Landwirtschaft, Raumberg-Gumpenstein, Germany, pp. 155-158. Idel A. and Reichert T. (2013). Livestock production and food security in a context of climate change, and environmental and health challenges. In: UNCTAD, Trade and Environment Review 2013. Geneva, pp. 138-153. Available at: http://unctad.org/en/pages/PublicationWebflyer.aspx?publicationid=666 . Manzano, P. and J.E. Malo. 2006. Extreme long-distance seed dispersal via sheep. Frontiers in Ecology and the Environment, 4(5), pp. 244–248. Mathias, Evelyn and John Wilson. 2015. Keeping livestock on the move. Pp. 56-57 in: Soil Atlas. Heinrich Böll Stiftung, Berlin and IASS Potsdam. Thanks to Ilse Koehler-Rollefson, LPP, Günther Czerkus (BVBS) and Paul Mundy for suggestions and comments and to Paul Mundy for editing this commentary.